While we use much less PowerPoint than you would expect, that does not mean we do not embrace technology. Technology can be used to great advantage when used creatively and appropriately, and that does not mean simply having a slick presentation. Animations and videos can offer unrivaled succinct clarity so when we go outside we take the media outside. Recording scenarios and exercises allows candidates to analyse their actions after the experience. This is far too difficult to do during the exercise yet is all too often expected of candidates. During exercises candidates are focused on trying to deal with the situation and are not consciously aware of appraising their performance. On complex or long scenarios, video playback allows candidates the opportunity to do this. Point-Of-View video recording enables candidates to experience different perspectives, including that of the casualty, one of the most often neglected considerations. Only when you understand what a casualty sees, feels and hears will you really be able to provide the best care. 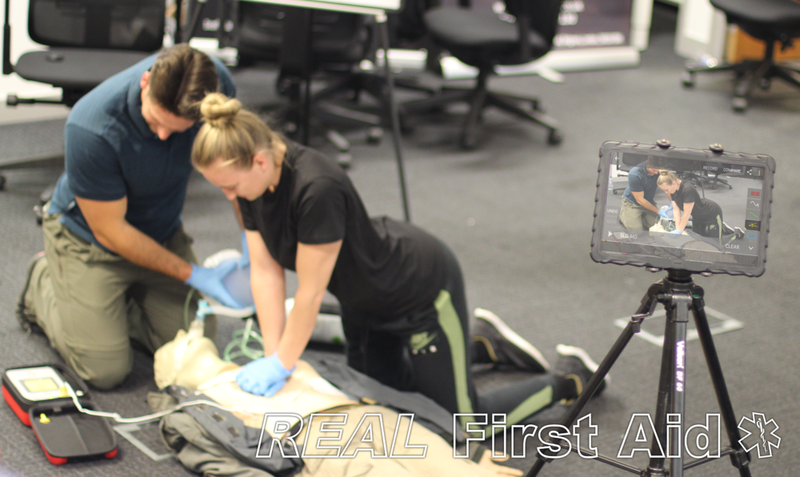 Our course hand-out for our FPOS-I is not a stale, A4 textbook which will live on a bookshelf to be forgotten about, it is an interactive multi-media PDF file which can be downloaded to tablet or laptop; there when you need it for revision, research or reference. Rich with full audio video and animations and fully navigable through intuitive contents, bookmarks, hyperlinks and search terms, we hope to develop PDF course notes for all of our courses. If your current provider's selling point is "We've got a great presentation", question what else they don't really understand about education.